I would offer that anytime you as PIC either do not know how your airplane got into its current situation or (worse) you are not sure what is going to happen next, you have Lost Control. A few years ago, the FAA emphasized “Runway Incursions.” There was rarely a flight magazine that did not have something to say about runway incursions. Luckily that seems to have been properly addressed. Now comes the new FAA, NTSB, IAC and EAA emphasis, “Loss of Control.” Over the next few years, you will be hearing lots about “Loss of Control.” This article will begin that discussion. We all know that when airplanes are designed, they need a certain amount of energy (airspeed) to generate the lift required to “fly.” Of course, if the airplane has too much energy, it tends to break. Between the minimum airspeed required to fly, and the maximum airspeed it can structurally withstand is the airplane’s flight envelope. Your primary job as the pilot in command (PIC) of an airplane is to keep it within its flight envelope. Know also that if you do stay within the airplane’s flight envelope, everything that airplane will do is by design. Meaning, the airplane will not do anything “unusual” as far as the airplane is concerned. The airplane will only do what you tell it to do. It will do exactly what you tell it, nothing more, nothing less. I say this because as an instructor, I often hear pilots complain that their airplane is not doing what they want it to do. These pilots blame the airplane. In reality, they need to ask what exactly did they tell the airplane to do. More on this in a moment. In addition to staying within the flight envelope, your duty as PIC is to ensure the safety of the flight. Here you are concerned with the always changing relationship between the airplane itself, you the pilot, and the flight environment. The flight environment (Weather and wind). 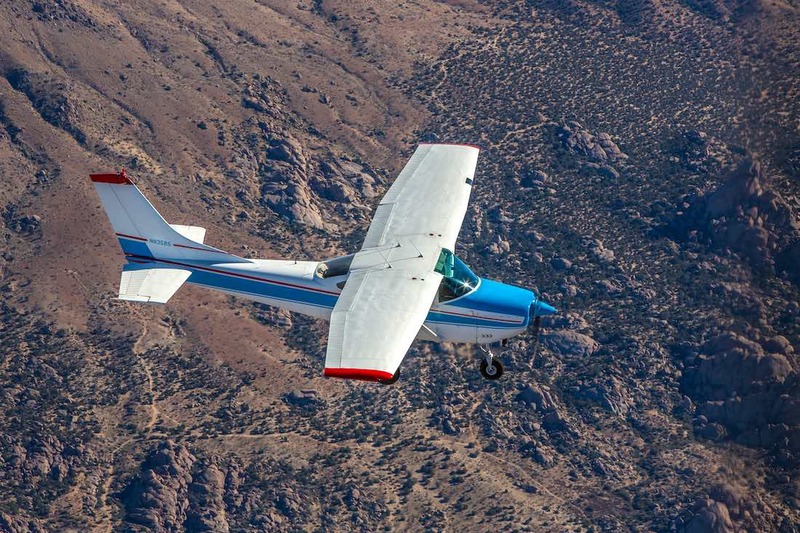 You were taught from day one of your flight training to continuously evaluate these three critical flight safety factors. Most importantly, you were taught that if there was ever a hint, perceived or actual, that one or more of these flight safety factors may be questionable, either donʼt fly or divert and get back on the ground. I would offer that anytime you as PIC either do not know how your airplane got into its current situation or (worse) you are not sure what is going to happen next, you have Lost Control. Remember, the airplane will only ever do what you tell it to do. 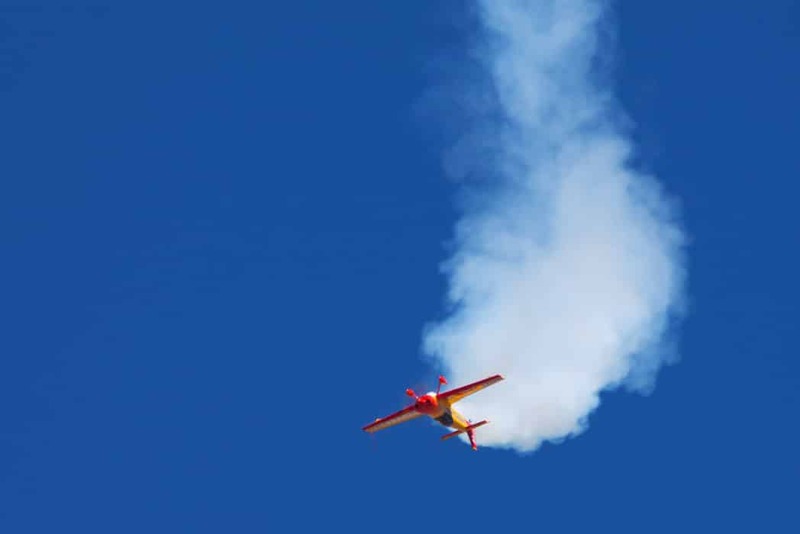 As an aerobatic pilot, we can “tweak” this definition too, if the maneuver you are flying is not what you intended to fly, or does not resemble what you intended to fly, you too have momentarily lost control. If you intend to fly a hammerhead and end up with a tail slide, you guessed it, a loss of control. Why is this important? Well besides the obvious loss of control, the quicker you can recognize something as “wrong,” the quicker you can intervene in the Error Chain, and prevent or fix the problem. Very rarely do airplanes spontaneously destruct (Unless you are flying outside its flight envelope). It is usually a sequence of events, typically with the PIC making the errors, that cause the problems. In most cases, the potentially disastrous outcome could have been prevented if the PIC intervened “sooner,” and broke this error chain. So, by recognizing a problem “sooner,” and having enough time (ie., altitude) to react, you can break this error chain. Have some idea of what you are doing before you do it. If your steep turn is 60 degrees, donʼt wait until you roll 180 degrees before you take some action. So, how do I communicate with my airplane? Again, the airplane will only do what you tell it to do. For us old guys like me, sometimes there is a disconnect between what the brain wants, and the body delivers. But the airplane still will only do what you tell it. Fundamental to this communication is “How do I control my airplane?” Your airplane has three primary control surfaces, Elevator, Aileron, and Rudder. They control Pitch, Roll, and Yaw. These three control axes intersect at a point known as the Center of Gravity (CG) of the airplane. So right away, a good weight and balance calculation is required for you as PIC to ensure flight safety. We know that our airplane is a three-dimensional machine. It responds to the relative wind, not to the ground. As such, as PIC we are taught to “internalize” the movement of the airplane relative to us sitting in the airplane, and not relative to the ground. Pitch becomes a “Head to Foot” movement of the nose of the airplane. Roll becomes a “Head to Hip” movement of the nose of the airplane. Yaw becomes an “Ear to Ear” movement of the nose of the airplane. (At least this is what my friend, Rich Stowell, attempted to get into my thick head!). In this way, the airplane does not move “backward” when we fly inverted. The control inputs are always the same regardless of your attitude. This is usually easy for new pilots to understand. Until that initial confusion doing your first inverted turn or rolling turn. But then you quickly realize the control inputs are still the same regardless of your attitude. Your airplane is doing exactly what you are telling it to do! A more subtle issue in your communicating with your airplane is what I will call “ergonomics.” How do I attach myself to my airplane? A perfect example may be a slow roll to the left in a Decathlon. In theory, you begin with neutral aileron and elevator. You first move the aileron left, then some forward elevator as you approach inverted. Now, if you are tense, and your right elbow (assuming you are holding the stick in your right hand) is “locked” on your hip, that forward elevator that you want turns into taking out some of the left aileron, and your roll rate changes. Take another example, a Chandelle to the right in your Cessna. While “pulling” on the control yoke, you may also be pulling “down” with your left hand, adding some left aileron. You are expecting the airplane to continue to roll right, but you are actually telling it to roll left. There are lots of examples of incorrect ergonomics. Heck, just do Dutch rolls and see if you can remain seated in the middle of your seat. I find that many new aerobatic students are completely unaware of these ergonomic issues. Most of these problems can be eliminated by being aware that these ergonomic issues can, and do, happen, and by moving the controls relatively slowly and deliberately. Most new pilots move the controls way too fast, not giving the airplane time to respond. Of course, when you have to move, move. When it is time to use the rudder on a spin exit or hammerhead pivot, move it! Photo by Disciples of Flight’s Jim Hoddenbach. One final consideration for airplane communication and control is energy. Your airplane needs a certain minimum airspeed (amount of energy) to complete each specific maneuver. Donʼt try to force the airplane to do something it simply will not be able to complete. If you think this will be an issue, take an interruption, lose a few points, and try it again. Remember, you as PIC can control the airplanes airspeed, its energy. You have interchangeable sources of energy. You have the potential energy of altitude (and fuel in your fuel tank), and you have the kinetic energy of airspeed. You can exchange one for the other. In fact, in aerobatics, that is exactly what you do. You give up altitude for airspeed and, in turn, give up airspeed for altitude. A few implications. First, donʼt chase the airspeed indicator. It always lags behind. Instead, set a line, then check the airspeed. Set it – Check it. Take your time and donʼt rush the airplane. As a line judge, I often talk with my assistant judges about the sequence being “rushed.” The outcome is not pretty. Next, as you are learning, have lots of altitude. You can always give up altitude for airspeed. You can always take more time to solve problems if you have more altitude. Pilots still do a very bad job of maneuvering their airplane while low, slow and turning. There is a reason you lose points for a Judgeʼs Low Call, yet almost never get called for being too high. No Judge I know will ever fault you for taking an interruption to gain altitude. Stay within the flight envelope. I think we mentioned that a few times! Donʼt allow the speed to become too excessive. Several thoughts here. First, the “fly faster, pull harder,” shows that longer line attitude. In aerobatics, the length of the line is not scored. The judge either sees a line or does not. So, trying to impress the judges by redlining your Super Decathlon to demonstrate some “long” vertical line, is a waste of energy. Of course, when I was learning vertical snap rolls in my Pitts S2B at the Stead Airport (elevation 5046), we used to joke the red line was a target. Again, not smart. Also, be careful of maneuvers where the exit may load up lots of excessive speed. Like a Split S. Start high and slow, end low and fast. If you rush and keep staying in the aerobatic box as your main consideration, instead of a slow entry speed, you come out at warp speed! Not smart. Have patience and take your time so the airplane will do only what you want it to do! What Do You Do if You Experience Loss of Control in Flight? But what happens if, despite all my best intentions, I still lose control of my airplane? Again, here is where lots of altitude is your best friend. Your error chain will normally begin with some distraction, some “faulty” perception of what just happened, and perhaps some inappropriate control input based on that perception. As you are learning new maneuvers, you can reduce the faulty perceptions by combining inputs into segments; segments into maneuvers; maneuvers into sequences. As an example, an Immelmann is 1/2 of a loop + 1/2 of a roll. Practice the loop. Practice the roll, then put the segments together into an Immelmann. Practice, as another example, the spin, practice the Immelmann, then combine those manuevers into a sequence. Donʼt be in a rush! In my Decathlon, if I really muck things up, I find by reducing the power (of course I have lots of altitude), neutralizing the stick and wiggling my feet, I regain control of the airplane pretty quick. Kinda like how I fix my computer problems. I turn it off and reboot. Do the same in your airplane. Put everything back to neutral. Sure if you are in a spin, you need to use the rudder, the PARE acronym. But even using PARE, two of your three primary controls go to neutral first. Spirals, much the same. Power, Push (Donʼt pull! ), Roll. As a last resort Let Go. Eliminate yourself as a possible aggravator. In summary, know your personal minimums. Take your time. Donʼt rush. Have lots of altitude. Stay within your flight envelope. Ensure your airplane is airworthy. Ensure you are airworthy. Watch out for dehydration and fatigue. Watch the weather. Let’s reduce the loss of control accidents. And most important, have fun! With an undeniable passion for flying, Tim's instruction style echoes his no-nonsense approach to flying: always fun and always informative. Having honed his flying skills in Alaska, Tim specializes in tailwheel endorsements, emergency maneuver training, spin training, aerobatics and mountain flying With over 4000 hours of instructional experience in tailwheel airplanes, Tim encourages students to always strive for higher than what is required of them. An ATP, CFI and CFII, Tim is a Master Certificated Flight Instructor - Aerobatic (MCFI, the First, and only, MCFI-A in Nevada), and a member of IAC (and an IAC National Aerobatic Judge), CUATE (Council on Unusual Attitude Training and Education), SAFE (Society of Aviation and Flight Educators), EAA (Experimental Aircraft Association), AOPA (Aircraft Owners and Pilots Association), and an FAA Safety Team Representative for the FAA WP-ll district.